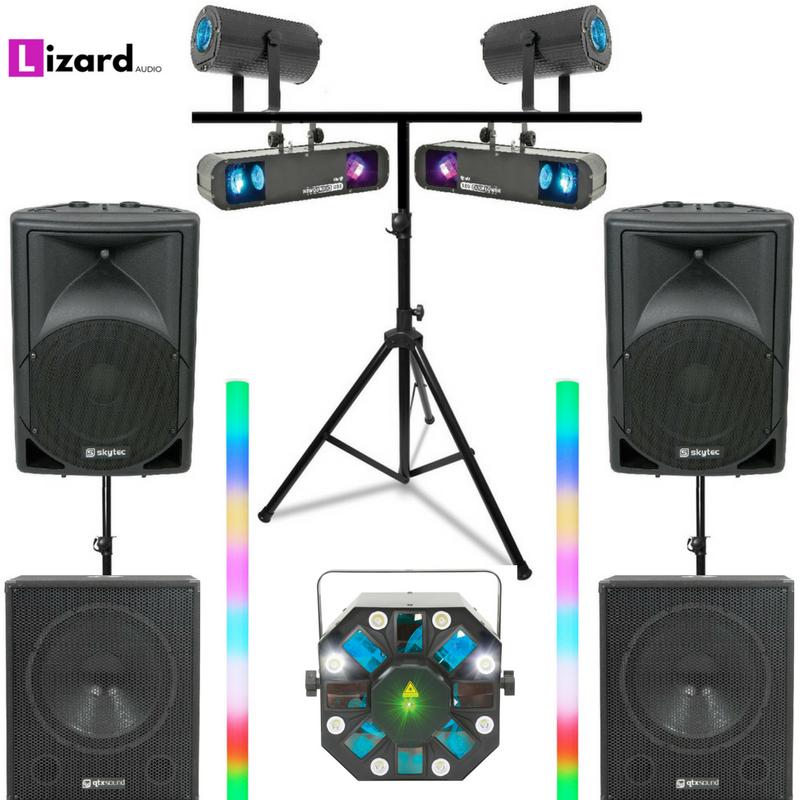 Our pre-made DJ Sound & Lighting System Packages are perfect for any Party, Discos, Weddings and background music applications, just select the size system to suit the event. 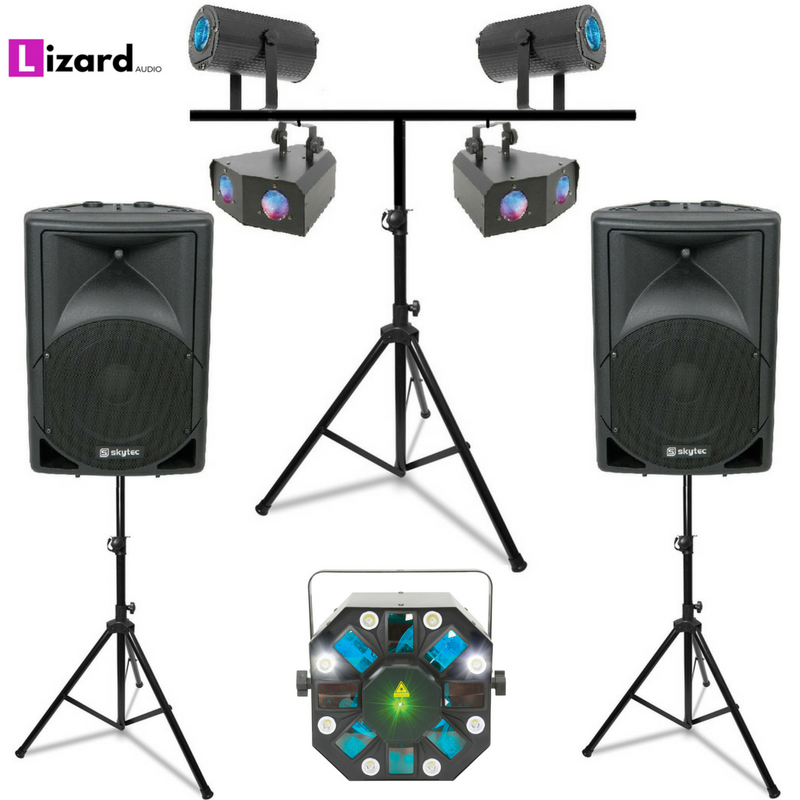 We have carefully selected some great systems from some of the best DJ / Disco Equipment manufacturers that are very simple to use and create a great event. With the iPod / Laptop systems just connect your iPod, iPad, Tablet or Laptop via the 3.5mm mini jack we provide for you and your iPod Party PA System will be up and running within 10 mins, these systems are great to plug in your iPod, iPad or Laptop and just leave to run all night long, very simple to set-up and comes complete with lighting for a great effect. 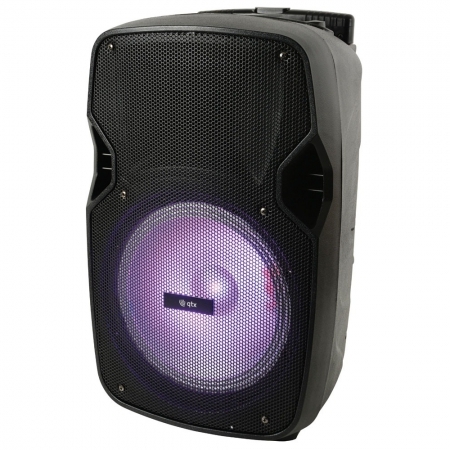 Great systems for most parties being held in houses, halls, pubs and venues up to around 200 people with our largest system, each system is balanced you give the correct amount of light for the size of the sound system, each sound system you can plug in anything with a 3.5mm jack (headphone socket) from a phone to a laptop, The equipment we include in our packages are because compact size so they will fit into an average Car without any fuss, making collection or delivery as simple as possible. 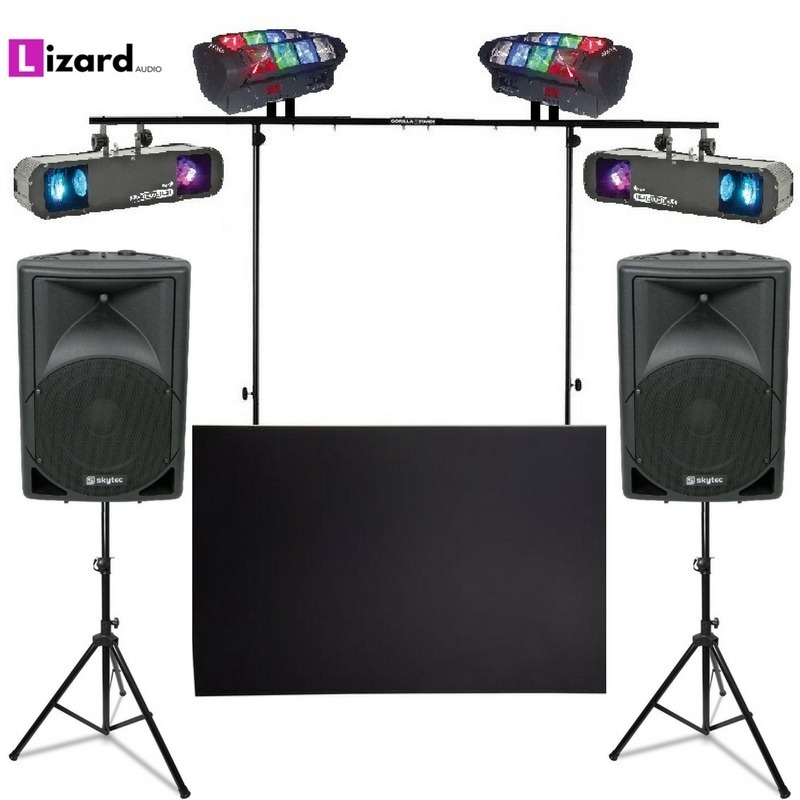 These systems are based on our popular DJ systems but are created with DJ Booths, a higher quality sound system and more intelligent lighting to really look the part, these are great systems for parties being held in halls and venues up to around 250 people with our largest system, each system is balanced you give the correct amount of light for the size of the sound system, each sound system you can plug in anything with a 3.5mm jack (headphone socket) from a phone to a tablet or laptop, our premium system are that bit bigger so a larger car is required or we can always deliver. 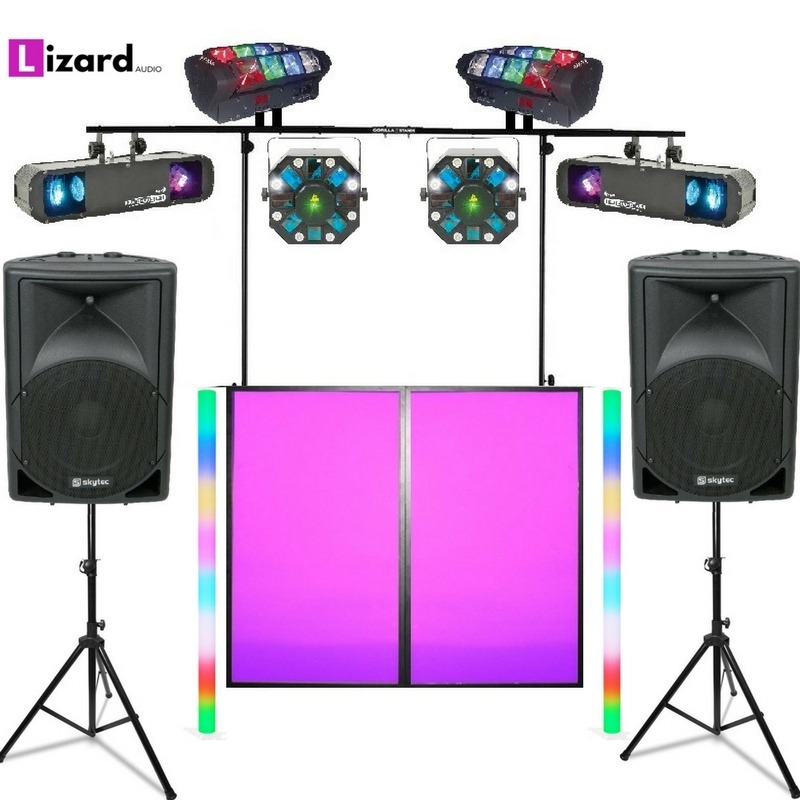 Our House Party Packages are perfect for Parties for up to 100 people, The main difference between this system and our standard iPod DJ Systems is that this system is kept solely for the use of normally students using it for house parties, because of this it not the best of lookers !! 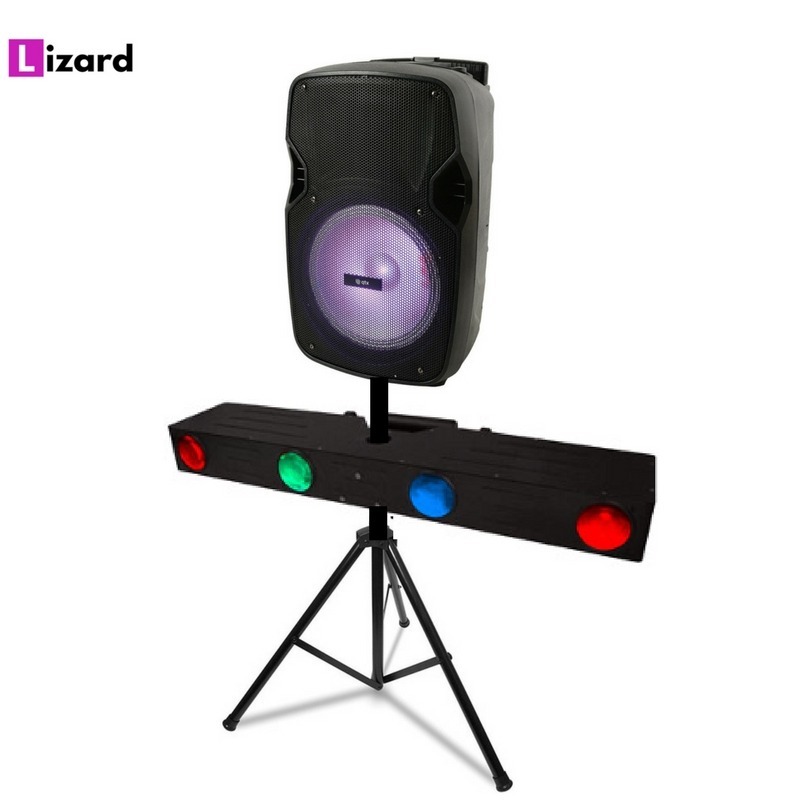 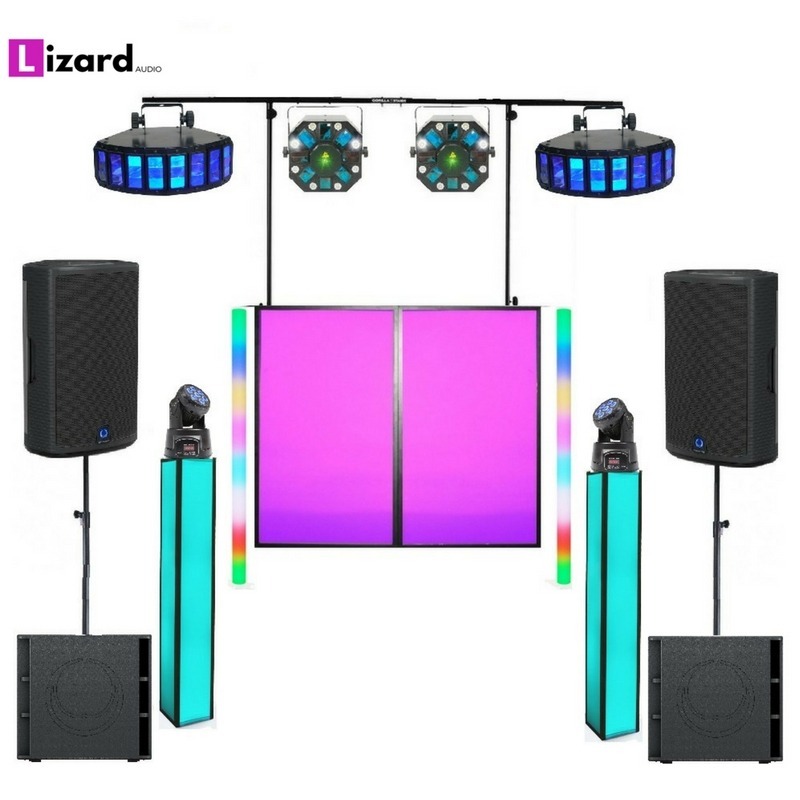 If you want a system for a wedding or a more classy event then this system is NOT for you, check out our other DJ systems they will all be top grade very well maintained equipment, all the workings of these system will be in 100% top condition, it is purely the cosmetic condition that is different. 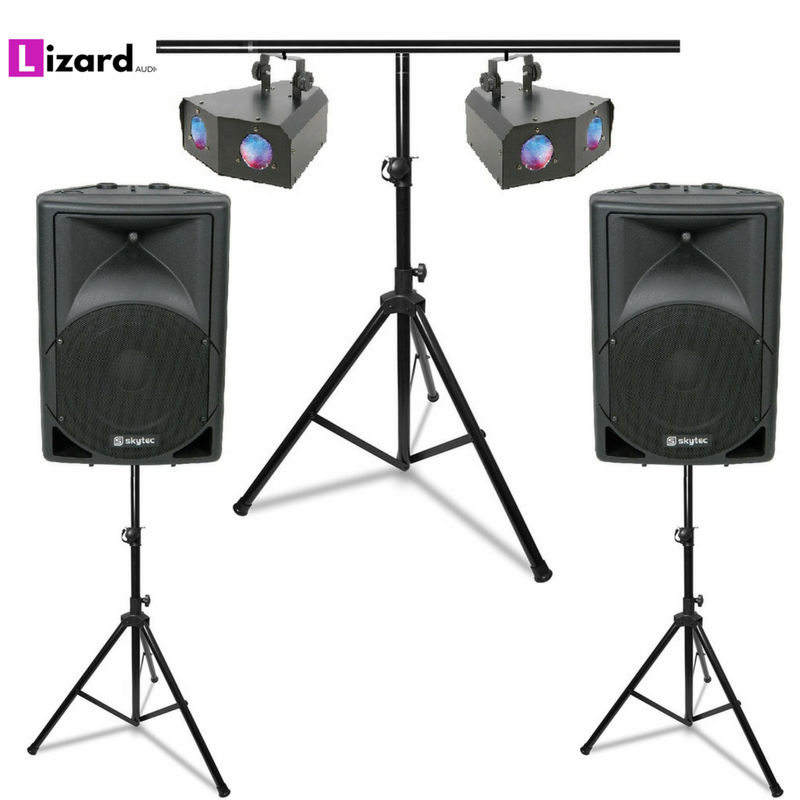 Great systems for most parties being held in houses, halls up to around 60 people, each system is balanced you give the correct amount of light for the size of the sound system, each sound system you can plug in anything with a 3.5mm jack (headphone socket) from a phone to a tablet or laptop, The equipment we include in our packages are because compact size so they will fit into an average Car without any fuss, making collection or delivery as simple as possible.